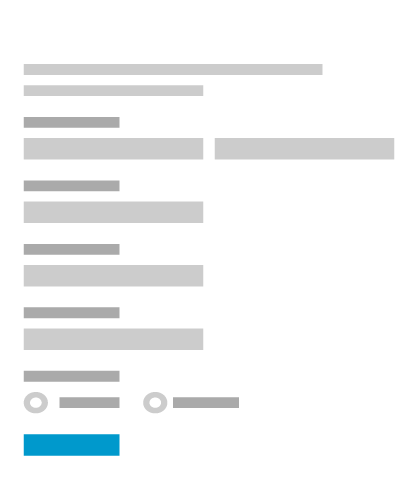 Easily build online forms to sell online or collect donations, and receive payments directly in your Square account or in person with a Square Reader. 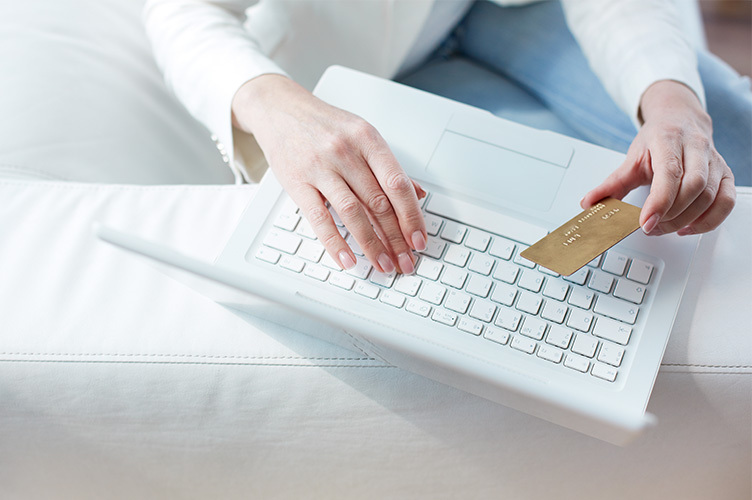 Build a custom payment form with our drag-and-drop editor. Add Square as a payment option and simply connect your Square account. Once that’s done, you’re ready to start processing secure payments. 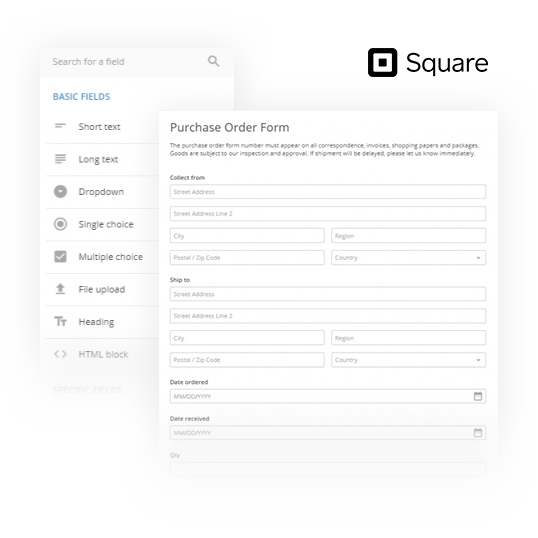 Connect your form to your Square account so customers can securely make online purchases, payments or donations right from a single form. All payment fields are securely embedded directly in the form so customers can pay instantly, without being redirected elsewhere. It’s a simple, seamless experience that builds trust in your brand. Do you use Square to handle payments for your business? 123FormBuilder offers a website integration with Square so you can create powerful, easy-to-edit payment forms. 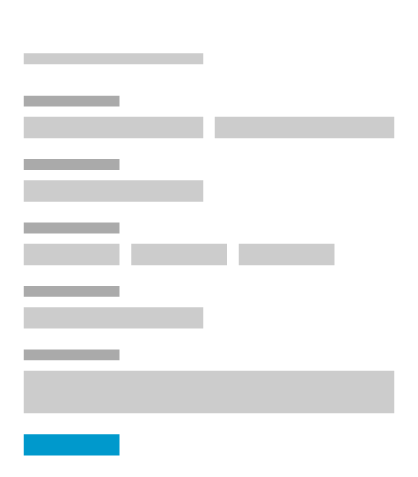 Add this bakery order form template to your website with 123FormBuilder. Edit the template with simple drag & drop, no coding skills needed. You can customize this bakery order form in various ways, add your own logo and customize emails. Use this online photography order form template on your website. Your customers will fill out this form to order photo packages from your business. You can modify this template with just a few clicks, you do not need technical skills. 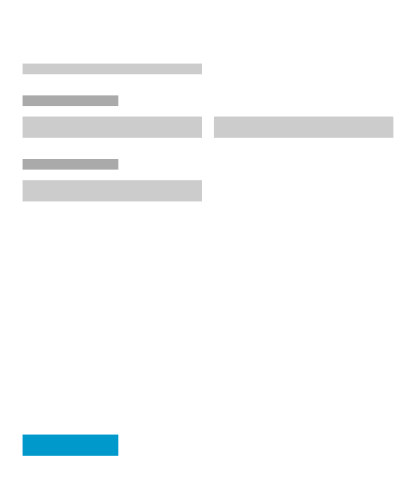 Add this book order form template to your website with 123FormBuilder. Edit the template with simple drag & drop, no coding skills needed.You can customize this book order form in various ways, add your own logo and customize emails.